Congrats to everyone who's won something so far. I tend to only rack up discount codes with this type of giveaway, so good luck all! Thanks @AnkerOfficial for another great contest! Congrats to all the current and future winners! I won a Genie and some discount codes. Thanks! No idea how it works from here though. Do we get an email? Congrats to the winners, very nice to Anker to do this! Says they're sending out emails by November 30. Is anyone interested in trading a eufy genie for a zolo mojo? I prefer Google home over Amazon but I know some of you who might have won the mojo prefer Amazon's Alexa. Thank you @AnkerOfficial !!! I think I just won a Eufy Genie and a 30% discount code! Thank you, Anker! Happy hunting everyone!! I had my three goes, and got a 30% voucher. Guess what... Nothing, not a sausage! How do we find out what the mystery prizes are? IE, when returning g to the prize page after sharing, it says gift is being grabbed, but nothing appears in the list box, where my 30% voucher is. When I then press OK the dialogue box closes, but nothing else happens. Anyone know what this device the middle is? I don't recognize it. @Jesse_Hernandez1 Wireless charging pad of some sort. I won a 30% off code but how or where do we get the discount code? The contest page states: "Prize winners will be notified via email by November 30th, 2018." 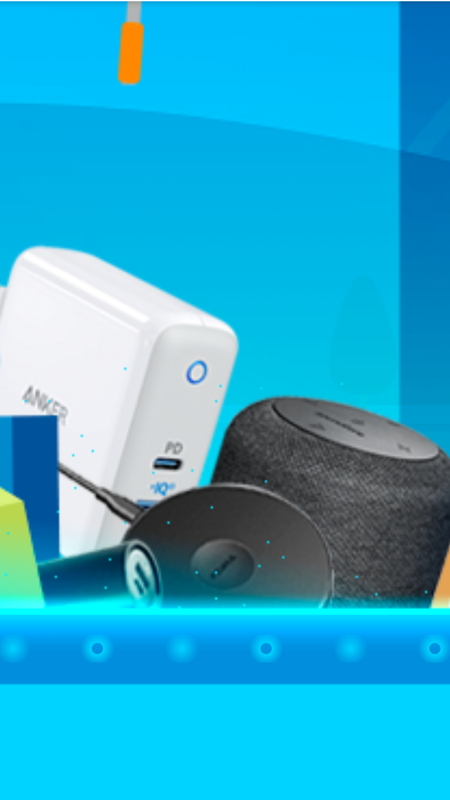 That would be too late for Black Friday, so I imagine Anker will email the coupons earlier than November 30th.